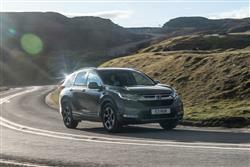 Car and Driving's Independent New Review of the Honda CR-V Hybrid. In Hybrid form, Honda’s fifth generation CR-V mid-sized SUV aims to reach a wider audience than the previous generation model’s diesel engines ever did. This petrol/electric powerplant is quieter and greener - and it shares all the improvements of more conventional MK5 CR-V variants. Honda hopes that as a result, you’ll find this a hard car not to like. Honda’s thought long and hard about the kind of crossover this MK5 model CR-V should be. As a result, some pretty fundamental decisions have been taken. 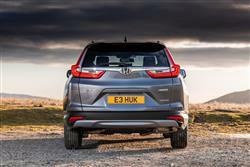 A key one lies in the fact that the brand is back with Hybrid power - of the non-plug petrol/electric variety - a key option to keep more frugally-minded folk in the CR-V fold now that diesel’s been ditched. It can be had with or without AWD. A longer wheelbase with this fifth generation design has freed up more interior space, though not enough for this petrol/electric version to be able to offer the 7-seat option you can have on more conventional CR-V variants. The cabin is of much higher quality, as the Japanese maker seeks to also position plusher versions of this car as credible alternatives for buyers currently looking at premium brand models in this segment. Plus as you’d expect, there are smart looks, strong standards of safety and plenty of equipment features. 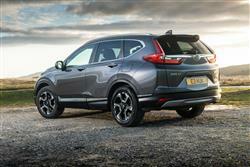 But is this hybrid CR-V a better bet than the old diesel version? We’re about to find out. The Hybrid version of this Honda arguably represents a more complete CR-V package than its conventional 1.5-litre petrol stablemate, if you can afford the significant price premium necessary for it. Thanks to a combination of electrification and a larger-capacity 2.0-litre i-VTEC petrol engine which together produce 315Nm of torque, progress in this model is more relaxed. Something further aided by the fact that the non-negotiable auto gearbox you have to have with hybrids in this case ditches a CVT ‘rubber band’ transmission for a proper fixed-gear set-up that allows a direct connection between the moving parts. For the time being, Honda hasn’t used its ‘i-MMD’ Hybrid tech to deliver a Plug-in package to CR-V Hybrid buyers, but it’s a pretty sophisticated set-up nonetheless, the combustion powerplant aided by two electric motors, one for propulsion and another for generating electricity that gets stored in a lithium-ion battery. Depending on road conditions and the way you want to drive, the powertrain switches between three modes - ‘Hybrid’, ‘EV’ and ‘Engine’. Only in the least efficient ‘Engine’ drive mode is the petrol motor connected directly to the wheels - which is the setting you’d be in if you were to replicate this variant’s claimed rest to 62mph sprint time of around 9s or the top speed of 112mph. For far more of the time though, you’ll be using electric assistance to a lesser or greater extent. In ‘Hybrid’ drive, the engine’s there to supply power to the generator, which in turn provides it to the propulsion motor. Finally, in its ‘EV’ setting, this Honda will be fully electric, though your operational range under milk float mobility when the battery is fully charged will be only 1.2-miles. You can also use paddles provided behind the steering wheel to maximise engine braking energy regeneration, so charging up the battery faster and increasing the amount of time the system can switch away from petrol power. When it comes to automotive design, the more people you have to please, the less distinctive the end result is likely to be. This, apparently, is ‘the world’s favourite SUV’, so a lot of people are going to have an opinion on how this fifth generation version looks. Most should be satisfied. There’s plenty of chrome to please the Transatlantic crowd, while wider arches and larger wheels pushed closer to the car’s extremities help in delivering a little more kerbside presence. Overall though, there’s nothing too controversial here. Perhaps that’s as it should be. This car’s visual appeal has always been low key and you sense that’s exactly the way loyal customers like it. Inside, many of the fixtures and fittings are borrowed from the brand’s tenth generation Civic - including the instrument binnacle you view through the three-spoke wheel. It’s one of those combination digital and analogue affairs, with stylised analogue temperature and fuel gauges flanking a central TFT-LCD screen. The back seat’s pretty spacious. 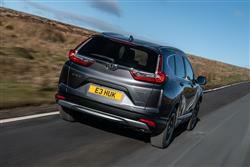 But you can’t have the 7-seat options that’s available to buyers of more conventional 1.5-litre petrol CR0-V models. And the 561-litre boot capacity you’d get in those models falls to 497-litres in this petrol/electric version (and 1,694-litres with the rear bench folded). 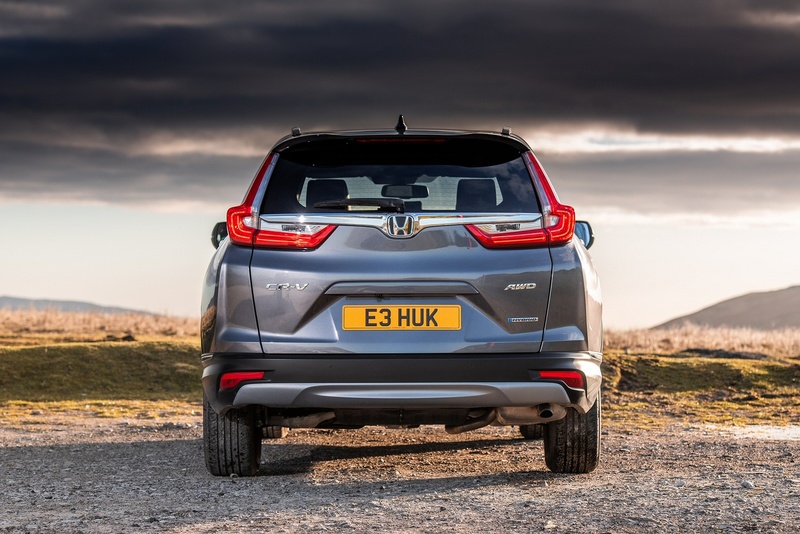 Let’s help you with how the Hybrid version fits into the CR-V range. There are three engines - a couple of conventional 1.5-litre VTEC Turbo petrol units developing either 173 or 193PS, plus a 2.0-litre non-Plug-in petrol/electric Hybrid we’ve been looking at here with a combined output of 184PS and a starting price of around £29,000. There are no diesels this time round. Across the line-up, there are four trim levels - ‘S’, ‘SE’, ‘SR’ and ‘EX’. If you don’t need the option of seven seats (which can’t be had on the Hybrid), we can’t really see why you’d go for the more powerful 193PS 1.5-litre VTEC Turbo petrol model over the alternative Hybrid, the latter petrol/electric option coming with a like-for-like premium of only £800 and obviously being considerably more efficient. 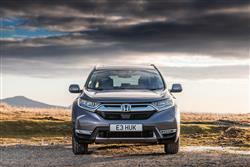 As for rivals, well the best-known hybrid in the mid-sized SUV segment is Mitsubishi’s Outlander PHEV, but that model uses Plug-in (technology you can’t have on this Honda) and is priced way up in the £37,000-£45,000 bracket, so isn’t really a directly relevant rival. Mid-sized ‘C’-segment SUV Plugin models like Plug-in versions of the Kia Niro and the Peugeot’s 3008 are more comparably priced against this Honda, but both are slightly smaller cars. As for more directly comparable non-Plug-in mid-sized Hybrid SUVs, well there are currently four. You could dismiss a petrol/electric Lexus UX quite quickly as it’s much smaller inside than a CR-V. And the 48V mild hybrid Kia Sportage and Hyundai Tucson models that cost about the same as a CR-V Hybrid can’t be had with petrol power. Closer competition is provided by the Toyota RAV4 2.5-litre Hybrid, but that car’s slightly pricier than this Honda. For the 2WD Hybrid model, you’re looking at 53.3mpg on the combined cycle and 120g/km of CO2. For the AWD Hybrid that most customers will choose, the stats are 51.4mpg and 126g/km. For reference, the most comparable diesel model in the previous generation range, the 1.6-litre i-DTEC 160PS manual gearbox AWD variant, managed 55.4mpg on the combined cycle and 125g/km of CO2. Take the cheaper cost of petrol into account and it’d probably be true to say that this Hybrid is just as cheap to run as the old diesel model: in fact, more so if you take cheaper Benefit-in-Kind taxation into account. So if you’re reticent about switching, you can’t really use advantageous diesel efficiency as an excuse. Whether all this is sufficient to justify the £3,000 up-front list price difference between a 173PS 1.5 VTEC CR-V model and a Hybrid version is another question of course. If your annual mileage is relatively low, it may not be. Whatever powertrain CR-V owners decide upon, Honda provides a series of driving tools to help them maximise possible returns. There’s an engine stop/start system of course. 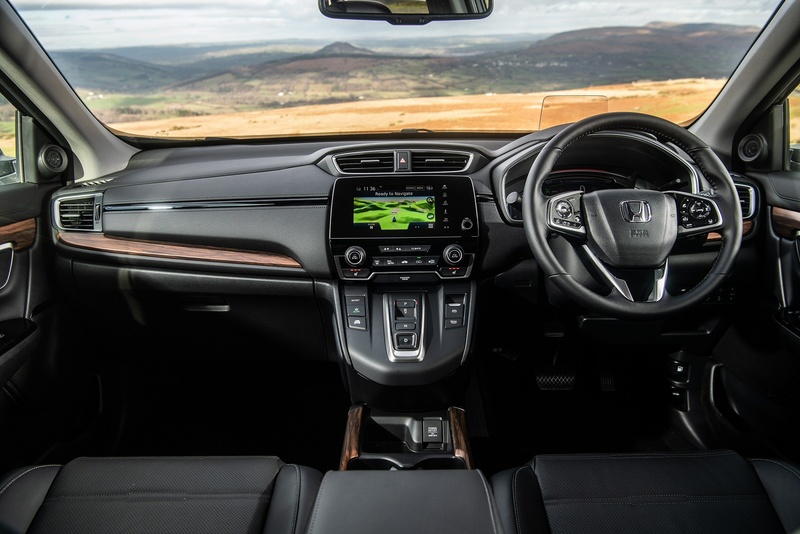 In addition, in the ‘Trip Computer’ section of the ‘Vehicle Info’ part of the centre-dash Honda Connect screen, there are ‘Current Drive’ and ‘Previous Drive’ read-outs, plus average fuel economy and range readings, along with a ‘History’ section, all of it enabling you to better track your efforts towards frugality. This is as sensible as family segment lifestyle-orientated SUV motoring gets. A car for people who look at what a vehicle can do for them rather than what it says about them. End use you see, has been the over-riding design parameter here, not cutting edge styling, clever gadgetry, irrelevant pin-sharp handling or pointlessly powerful engines. As a result, a CR-V Hybrid is an extremely easy thing to live with, the kind of car you’ll own, then wonder how you managed without. 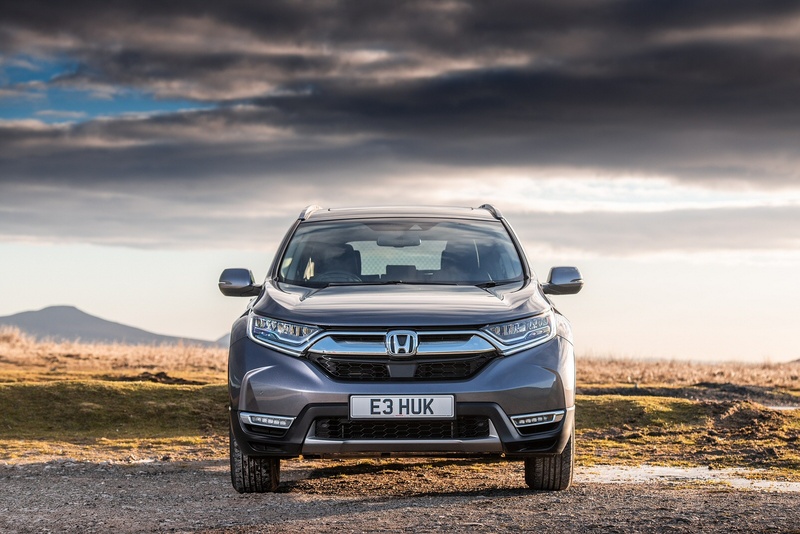 That may not be a recipe for media headlines but it’s an approach that other brands could certainly learn from, explaining why so many CR-Vs are bought by folk who previously owned one. 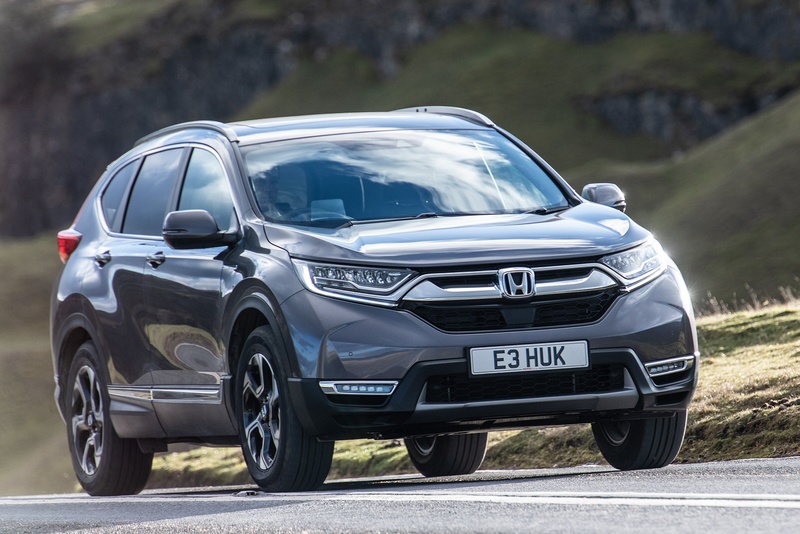 In summary, we can see why so many global customers will accept nothing less than Honda’s interpretation of what an SUV of this kind should be. And what’s on offer with this petrol/electric version is a model that could conceivably interest many more of them. Ultimately, it remains distinctively different, distinctively… CR-V. Which ultimately, might very well be all you need.